The recording and analysis of data, within the laboratory and subject to repeated testing (to confirm consistency of outcomes and the legitimacy of a theory), are at the very core of science. Let's distinguish this from scientism, which has the appearance of scientific authenticity but is often nothing more than a series of assertions with corresponding statistics, percentages, and equations of dubious quality. Often, challenges emerge when the proliferation of data morphs into "Big Data"—a term lacking any precise definition, but used with abandon nonetheless. Does this mean Big Data is irrelevant, and companies should forgo the chance to translate this material into worthwhile information about everything from consumer behavior and differences among shoppers within the world of social media, to refining each brand's messaging and focus on certain groups? The question is rhetorical because there is plenty we can—and must—learn from this exercise. In fact, there are many scientists seeking to answer that question with the same discipline they bring to an academic experiment, or with the same rigor and peer review they assign to receiving a doctorate in engineering, mathematics or astronomy. One such individual is Dr. Rahul Razdan, who holds a PhD in computer science from Harvard and is the Founder of Ocoos.com, which enables companies to enjoy a suite of customized services, such as web design, digital marketing, targeted messaging through social media and a review of the analytics relating to Big Data. The latter is a topic I intend to explore in a series of posts because, one, references to the issue continue to expand at an exponential rate; and secondly, there are some very distinguished scientists—men and women doing real science of great complexity and insight—whose responses the public should read and hear. Where confusion arises, and the following is more of a subjective judgment on my part about how reporters (through no fault of their own) and executives approach this matter, is with the term "Big Data." It has a multitude of meanings, several conflicting definitions, and a one-size-fits-all reputation that further confuses readers, complicates the adoption of applications that relate to Big Data and does little or nothing to clarify this discipline. Solving this challenge must be a top business priority. "Big Data, and the associated term 'Data Mining,' involves analyzing data to better understand customer behavior, strengthen marketing segmentation and have sales strategies that increase growth. Large and powerful brands have invested heavily in these capabilities, while smaller enterprises have been left on the sidelines for much of these events. The latter often have limited capabilities to capture, analyze and convert data into sales. The reasons for this situation include the costs to have access to enterprise level systems, as well the means to manage these complex systems. "The exciting news is that Big Data is now available to everyone, at prices that are affordable for almost everyone. With the development of these capabilities, which are optimized for the small business market, companies can unlock the sort of layered intelligence—the granular details about a customer's interests, online activity and presence within social media—that produces better and more successful marketing, improved sales and profits, and a solid relationship with a brand's core constituency." 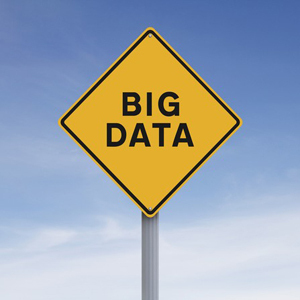 Virtually all businesses can now use Big Data with confidence, clarity and consistency. Now, that is Big News.